Damn Arbor: Real life superheroes in Detroit? Real life superheroes in Detroit? 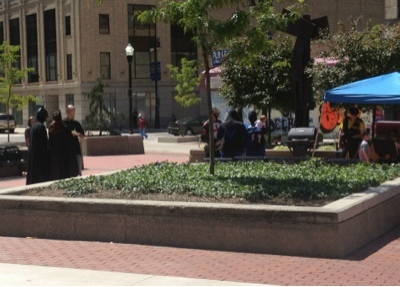 EJ and I saw these batmen and another superhero while walking to the Tigers game today. Are there real life superheroes in Detroit? Except they weren't going to a Tigers game. They were handing out food and water. Sorry, I misread it at first. My mistake.